What tyre size do I need? And where can I find it? 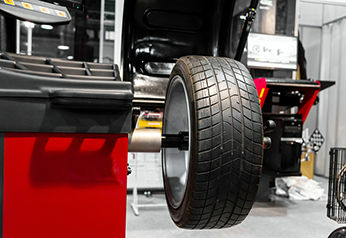 Every vehicle requires a specific tyre size, that can be found on the sidewall of the tyres itself, on the vehicle's manufacturers placard or on the inside of the drivers' door. When purchasing a new set of tyres, it is important to always verify that the new tyres' size is suitable for your vehicle and respecting the load and weight rating reccomended by law. The tyre size comes in a code molded on sidewall rubber of your tyre. It provides the driver with valuable information about the tyre's intended purpose, dimensions, load capacity and speed durability. The first thing to know about the size of your tyres is that there are two different ways of measuring the size of a tyre. There is the tyre diameter and the wheel or rim size. 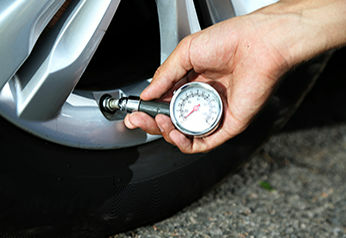 The difference between these two measurements on the same tyre is approximately the height of the sidewall of the tyre. Unlike the width, the diameter of the tyre and the wheel size are generally measured in inches. This measurement features after the aspect ratio of a tyre in the tyre’s code. There are two other main measurements that are included in the overall tyre code which also include ratings. P: P stands for ‘Passenger’ vehicles and covers cars, minivans, sport utility vehicles and light duty pickup trucks, (typically 1/4- and 1/2-ton load capacity). T: T stands for a ‘Temporary Spare’, or ‘space saver’ only designed for temporary until the original tyre can be repaired or replaced. LT: LT stands for ‘Light Truck’ meaning the tyre is designed to be used on vehicles capable of carrying heavy cargo or towing large trailers. This includes medium and heavy-duty, (typically 3/4- and 1-ton load capacity), pickup trucks, sport utility vehicles and full-size vans. Next to appear is the three-digit numeric measurement which represents the tyre's ‘Section Width’, (or cross section), in millimeters. The width of a tyre is measured directly across from the outermost point of the sidewall of the tyre to the outermost point of the opposite sidewall of the tyre. Next and divided by a forward slash from the three digits identifying the tyre's width is a two-digit number which identifies the tyre's profile or aspect ratio. This measurement is of the tyre's section height. 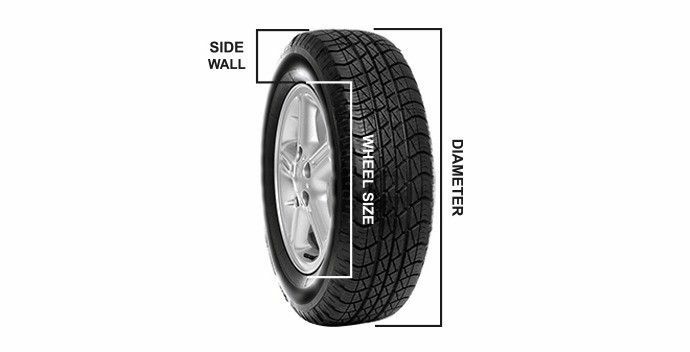 This measurement is of the height of the sidewall of the tyre and is registered as a percentage of the width of the tyre. So a sidewall height that is 55% of the the width of a tyre is written as 55. The next part of the tyre code is the tyre diameter or wheel size which is measured in inches. 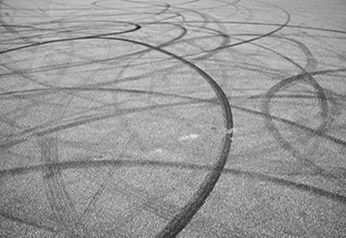 To know the range of tyre sizes you can safely fit to your vehicle you need to consult the manufacturer's guide as there is no rule of thumb. When considering changing the wheel and/or tyre size on your car, you have to remember you need to keep the diameter as close as possible to its original size. This is because the speedometers, traction control and the gear settings of your car are based on the time/distance taken for a tyre’s full revolution. This is directly related to the outside diameter of your tyre. When changing the size of your wheel and tyre, your tyre diameter has to remain the same. However, this it isn’t always as straightforward as you might think as tyre sizes are most commonly measured by the inside diameter of the tyre rather than the tyre’s total diameter. There are tyre size calculators available to help you arrive at the right measurement however. The next number is a 2 to 3-digit number and is the Load Index rating. The rating determines the load capacity or maximum weight a tyre can carry. This is a very unusual case with some top range and vintage cars where the wheel construction and speed rating come after the Aspect Ration rather than the Tyre Size. Speed Ratings are most frequently found after the Load Index and Tyre Size which come later in the code. In this case, after the aspect ratio, two letters are used to specify the internal construction of the tyre and its speed rating. Most Passenger tyres are radial tyres and are represented by an R. Speed ratings mainly feature letters towards the end of the alphabet which get faster the closer they near the alphabets end. So RZ was used to denote the fastest tyre type at the time the ranking was implemented. The speed rating of a tyre is displayed on the sidewall of your tyre within the tyre code. After the Load Index is a 1 to 2-digit/letter combination representing the Speed Rating.